The far-left CNN published a total of five hit pieces against Howard Schultz on Thursday. 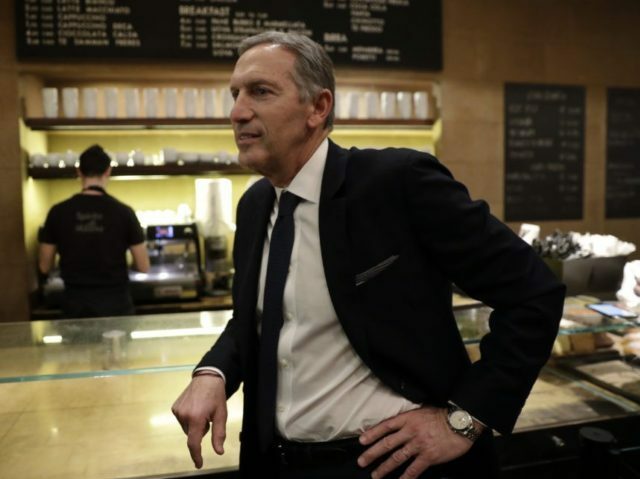 Now that the former Starbucks CEO has said he is looking seriously at a run for president as an Independent in 2020, Democrats are freaking out. They fear that Schultz, a lifelong Democrat activist and donor, will siphon votes away from their 2020 nominee and ensure President Trump wins a second term. CNN, a cable network devoted to Trump’s defeat and moving the country to the far-left, appears to be equally concerned, which is the only way to explain why the basement-rated outlet published five attacks against Schultz in a single day. What’s more, three of those five hit pieces cover the exact same subject — a tweet Schultz fired off before he was bullied into deleting it. See that? Three … three pieces covering the exact same story about Schultz’s tweet delete. To bully Schultz into deleting it, the media manufactured some outrage over the fact Simon refers to Kamala Harris as “shrill” and Elizabeth Warren as “Fauxcahontas.” Both women are Democrat senators running for president. In the scheme of things, Simon’s criticism of Harris and Warren is pretty tame, but a pretense had to be manufactured to punish Schultz for daring to offer his imprimatur to an outlet and columnist who operate outside the accepted media establishment. In other words, had Schultz tweeted out a Washington Post column that called anti-establishment Democrat Tulsi Gabbard “shrill” and Trump a “Nazi,” CNN would not have said a thing, because this is not about a CNN that suddenly opposes name-calling, this is about a CNN that does not want Roger Simon, Pajamas Media, or any alternative media outlet awarded legitimacy by the likes of a Howard Schultz. Nevertheless, this fake scandal also serves the purpose of bloodying up Schultz, a pretense to annihilate him before his campaign gets off the ground, a way to terrorize him into changing his mind about making a presidential run. CNN wants Schultz out of the race.